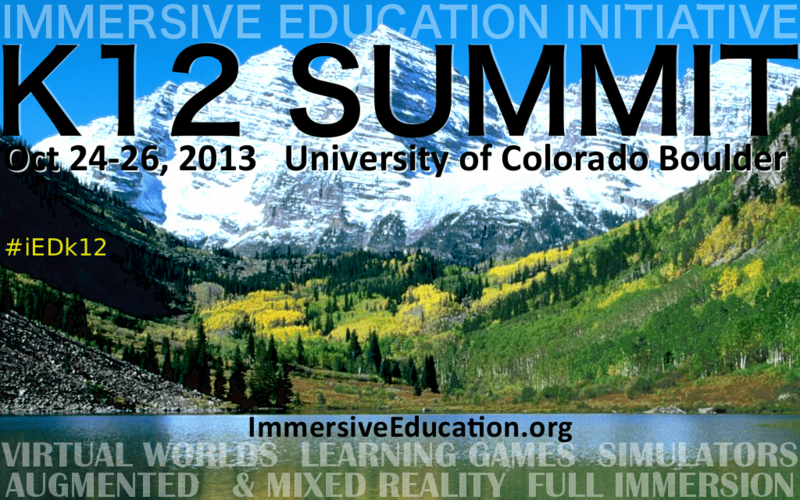 Registration for iED K12 SUMMIT: . :: REGISTRATION OPENS IN SEPTEMBER. RESERVE YOUR SEATS TODAY! ::. Registration opens in EARLY SEPTEMBER. To reserve your seats see "Reserve Your Seat(s)" below. After registering visit the maps and accommodations page to plan your stay in Boulder Colorado during the iED K12 SUMMIT. Please note that due to popularity and space considerations there is a strict limit of 5 seats per organization. Registration will automatically close when the available seats have been reserved. ALL ACCESS SEATS: "All Access" 3 day seats (Oct 24-26) include access to all hands-on workshops on Oct 26. STUDENT SEATS: "All Access" seats for individuals with a valid student identification card current as of 2013. WORKSHOPS ONLY: Access to all hands-on workshops (Oct 26) only. Groups of 3 or more receive a discount for each seat reserved for the group (see rate table below). Please note that there is a strict limit of 5 seats per organization. There is a strict limit of 5 seats per organization. Registration automatically closes when all seats have been reserved. All iED K12 SUMMIT seats must be reserved in advance to avoid LATE REGISTRATION FEES. All rates are in U.S. Dollars. Note that all digital transactions will appear on your statement as a Immersive Education Initiative payment transaction. Be sure to save your digital transaction receipt. See below for details on REFUNDS, CHECKS, MONEY ORDERS, PURCHASE ORDERS, INVOICES, and LETTERS IN SUPPORT OF INTERNATIONAL TRAVEL and VISAS. "All Access" seats include full access to all hands-on workshops. On-site registration for workshops is 8am-9am OCT 26. Please note that the "All Access" three day seats (see above) include workshops. Only register for these workshops if you are not attending any other day. PURCHASE ORDERS: Contact the iED K12 SUMMIT feedback team for Purchase Orders and invoices. REFUND AND CANCELLATION POLICY: A 100% refund less a $75 processing fee will be given for all cancellations requested by September 15, 2013. Although no refunds will be given after September 15 please note that all registrations are transferable to colleagues and associates with prior written authorization from the original registrant.